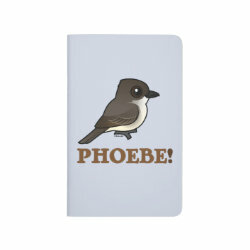 Shop for Eastern Phoebe gifts! 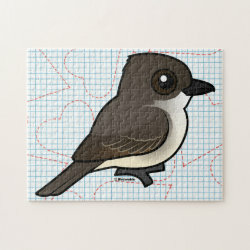 These darling common flycatchers are found across eastern parts of North America. 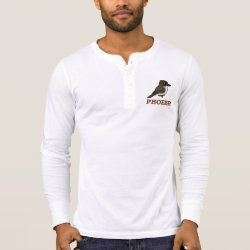 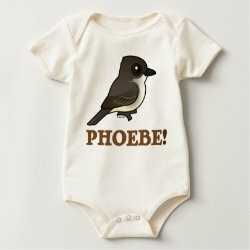 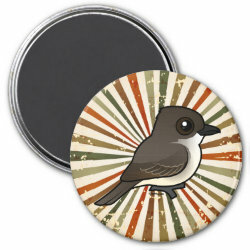 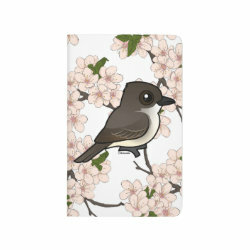 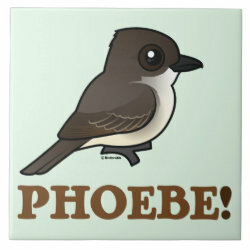 Bird lovers will love our cute cartoon Eastern Phoebe. 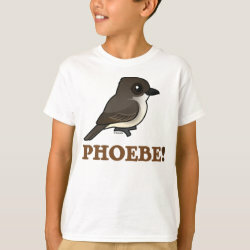 Phoebe stands above text reading PHOEBE! 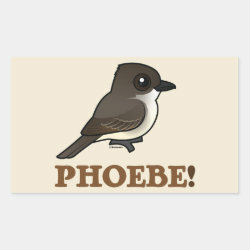 That's pretty clear, right? 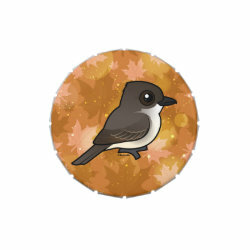 A big-headed tail-pumping eastern flycatcher. 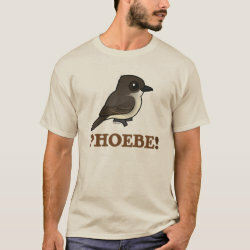 Whatta cutie!